introduced the character of Jack Nightingale in his book Nightfall. Nightingale is forced to leave his job as an armed police officer and becomes a private detective in London. A few weeks before his thirty-third birthday Nightingale discovers that he was adopted at birth. His real father turns out to be a Satanist who sold Jack’s soul at birth. And on Jack’s thirty-third birthday a demon from hell is coming to collect Jack’s soul. The first five books in the Jack Nightingale series – Nightfall, Midnight, Nightmare, Nightshade and Lastnight – were published by Hodder and Stoughton. 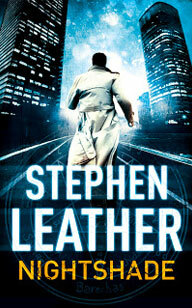 Stephen Leather now self-publishes the series, which has continued with San Francisco Night and New York Night. 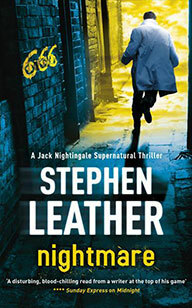 Stephen Leather had also self-published several Jack Nightingale short stories. ‘You are going to Hell, Jack Nightingale.’ They are the words that ended Jack Nightingale’s career as a negotiator with the Metropolitan Police. But two years later, when Nightingale is a struggling Private Eye, the words come back to haunt him. Jack Nightingale has to save a soul – his sister’s. But to save her he has to find her, and they’ve been separated since birth. When everyone Jack talks to about his sister dies horribly, he realises that someone, or something, is determined to keep them apart. If he’s going to save her, he’s going to have to do what he does best – negotiate. What goes around, comes around. 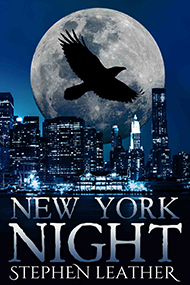 Jack Nightingale learned that as a cop and discovered that it was just as true in the world of the supernatural. His life changed forever on the day he failed to stop a young girl throwing herself to her death. 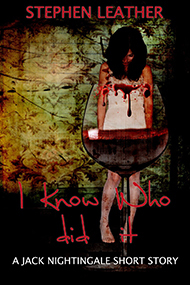 Ever since, he’s been haunted by thoughts that he could have done more to save her. In Jack Nightingale’s world – where reality and the occult collide – sometimes the only way to fight evil is with evil. A farmer walks into a school and shoots eight children dead before turning the gun on himself. It seems like a straightforward case – until the police unearth evidence of dark Satanic practices. 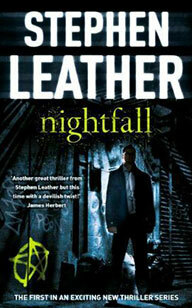 The fifth Jack Nightingale supernatural thriller from bestselling author Stephen Leather sees the legendary P.I. take on another nail-biting supernatural adventure. 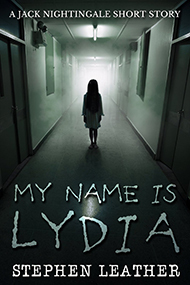 Supernatural detective Jack Nightingale is called in to investigate a young girl who appears to be possessed by an evil spirit. 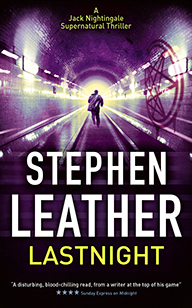 Stephen Leather is one of the UK’s most successful thriller writers, an ebook and Sunday Times bestseller and author of the critically acclaimed Dan “Spider’ Shepherd series and the Jack Nightingale supernatural detective novels. Jack Nightingale was always happier dealing with criminal cases or even divorce than he was with matters of the supernatural. So when a client came with a simple request to uncover the meaning behind her father’s last words, he was happy enough to take the case. Little did he know that the investigation would lead him to one of the vilest demons to ever walk through the gates of Hell. 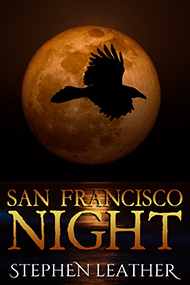 Jack Nightingale appears in the full-length novels Nightfall, Midnight, Nightmare, Nightshade, Lastnight and San Francisco Night. 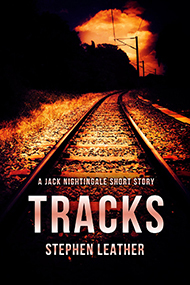 Supernatural detective Jack Nightingale is called in to investigate when an old man appears to have been hit by a train on an abandoned railway line. But there hasn’t been a train there in more than fifty years. As Nightingale investigates, he realises that there are dark forces at work and his own life is on the line. 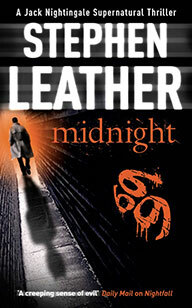 Stephen Leather is one of the UK’s most successful thriller writers, an ebook and Sunday Times bestseller and author of the critically acclaimed Dan “Spider’ Shepherd series. 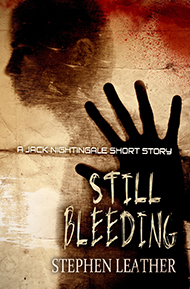 Supernatural detective Jack Nightingale is called in to investigate a case of stigmata. But Nightingale soon realises that all is not as it seems – and the girl is in mortal danger. 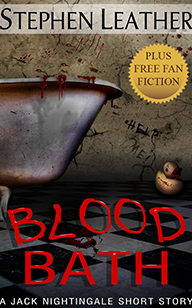 Supernatural detective Jack Nightingale is called in to investigate a series of bloody murders in a struggling hotel.